Our product range includes a wide range of gugal incense stick, kewda incense stick, lavender incense stick, loban incense stick, patchouli incense stick and champa incense sticks. We are the Manufacturer of Gugal Incense Stick with preium quality. We are offering Kewda Incense Stick to our clients with premium quality. We are offering Lavender Incense Stick to our client with premium quality. We are offering Loban Incense Stick to our client with premium quality. We are offering Patchouli Incense Stick to our clients. We are offering Champa Incense Sticks to our clients. We are offering Chandan Incense Sticks to our client. We are offering Ponds Incense Stick to our client. 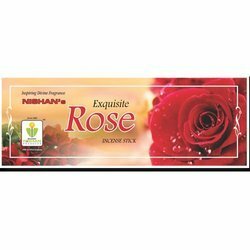 We are offering Rose Incense Stick to our clients. 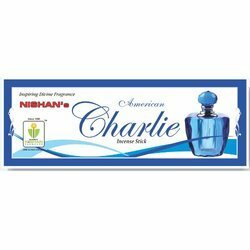 Nishan production provides premium incense sticks in regular pouch pack.